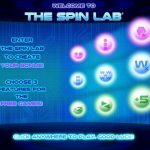 The Spin Lab slot takes another route in the conventional slot gameplay as it allows you to formulate your own Spin Lab free spin bonus. Other than providing some of the most favored online slots, NYX Gaming is also known for developing unique slot games that even defy the conventional gameplay. 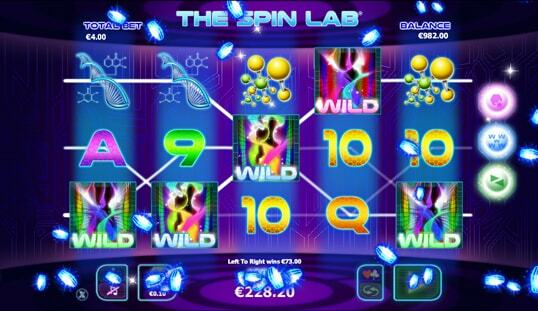 The Spin Lab slot, a futuristic online slot that boasts a unique and exclusive bonus feature, is one of these distinct slots. 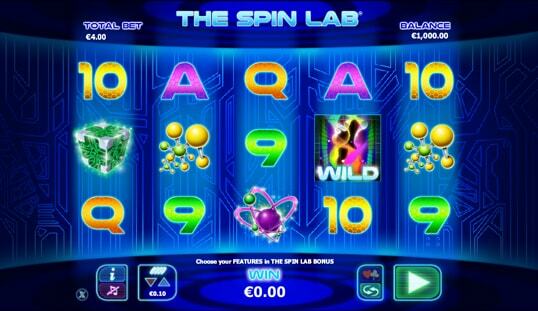 The Spin Lab slot is designed to offer players a sense of modernity through its interface. All of the elements you will be seeing are polished with sophistication and innovation. The graphics and design are unique, especially for its theme. Striding away from the theme similar to Tron, The Spin Lab slot used the idea of a laboratory in order to give you the feeling that you are creating the combinations of your fortune. 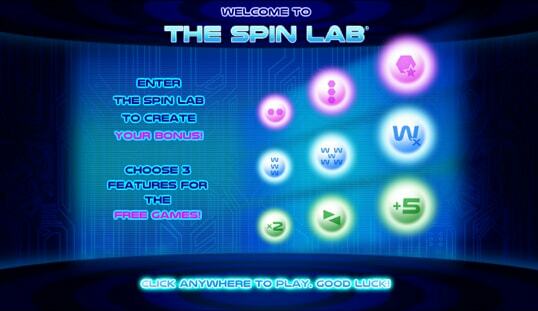 When it comes to sound effects, The Spin Lab slot may not be that noticeable. You get the typical ‘ding’ and chimes that can be heard in almost every slot game available. Regardless, its graphics still make up for this shortcoming. 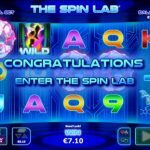 Similar to other NYX Gaming products, The Spin Lab dons the conventional online slot structure with five reels and 25 pay lines. When it comes to its symbols, this is where this game excels. 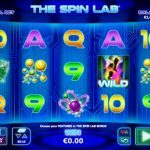 Eliminating the conventional icons for slots, The Spin Lab slot redesigned its elements and replaced these symbols with its exclusive laboratory-inspired icons. DNA strands, sci-fi images, and other unique symbols that are not seen elsewhere are now on the reels. In addition, this game offers an auto spin feature for the slot to continuously spin up to 100 times. Unlike any other newer slot games, this online slot allows you to create your own bonus out of the 27 allowable combinations. This special bonus can be unlocked when you land three or more scatter symbols anywhere on the reels. Once unlocked, you will be presented with rows and columns with symbols that carry the available upgrades that can be combined for your desired bonus. You can choose up to three different offerings. This is the exciting part because you can strategically select any of the bonus symbols present to come up with your exclusive bankroll booster bonus. If you have a difficult time selecting, there is always an autopick feature. Although this is automatically made, the bonuses picked will still give your bankroll a decent boost. 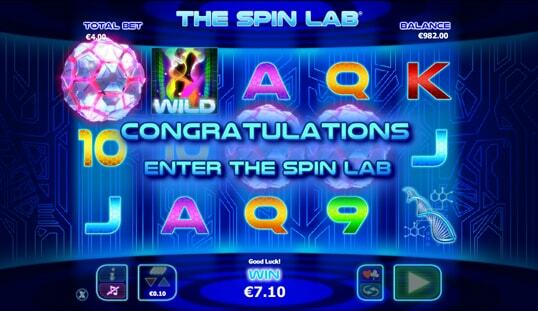 To top it all off, The Spin Lab slot bonus feature can pump up your bet up to 20 times. 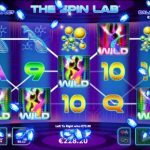 The Spin Lab slot is certainly a unique title that will immediately stand out in the sea of online slot games. Combining a unique set of graphics with an exclusive bonus feature, this game certainly captivates the interest of online bettors, regardless if they are slot fans or not.